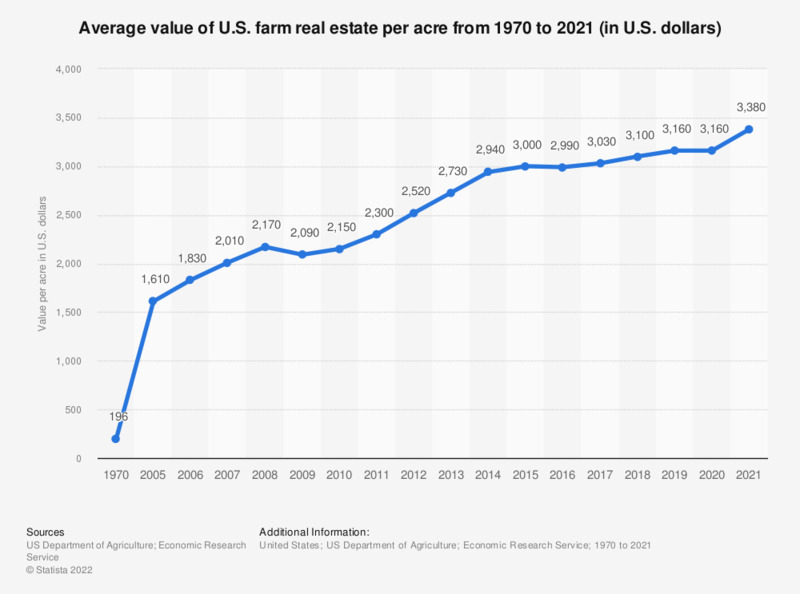 This statistic shows the average value per acre of farm real estate in the United States from 1970 to 2018. In 2017, the average per acre value of farmland and buildings came to some 3,08 U.S. dollars. Value of land and buildings. Average includes 48 states (without Alaska and Hawaii). This statistic was assembled from several USDA annual statistics reports.